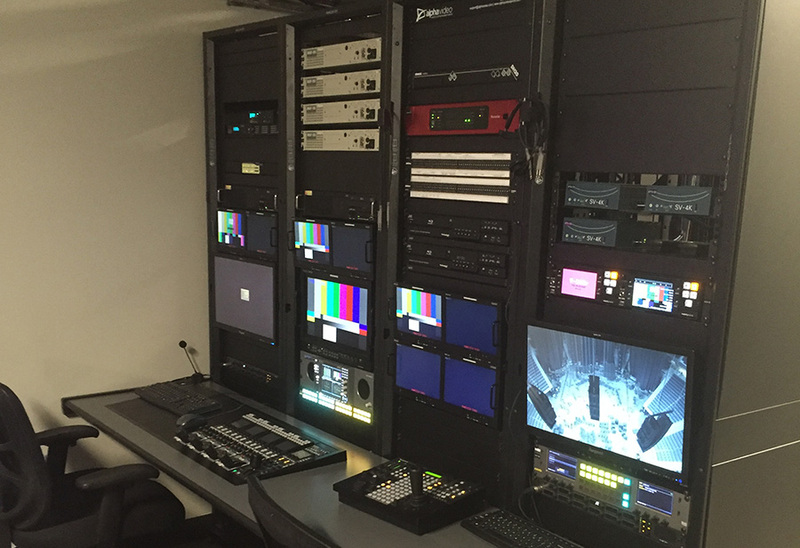 So it’s no surprise two of the biggest names in the integration world – Alpha Video & Audio and Daktronics - wanted to be part of the project. Daktronics installed 25 video displays around the 650,000-square-foot T-Mobile Arena and Las Vegas’ first see-through display outside the building. 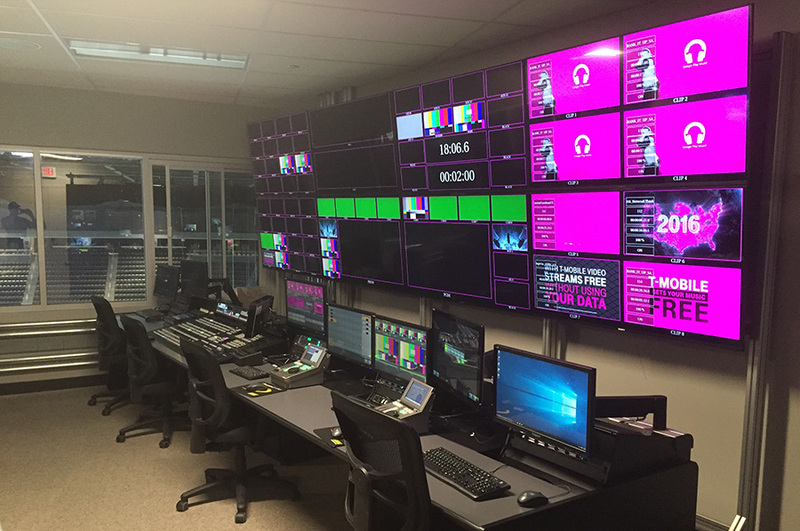 Alpha Video integrated T-Mobile Arena’s video replay control room and IPTV system in a space that, at the time, didn’t have a team ready to call it its permanent home. Jeff Volk, VP of Alpha Video’s Sports & Entertainment group, says AEG and MGM upped their expectations in December in terms of what technology they wanted incorporated in the project. The shift from a more standard system to one that could handle an NHL or NBA tenant came in December, only 13 weeks before the deadline to complete the project. Typically, Alpha Video gets about 19 to 24 weeks for similar projects. Near the end of the project, AEG and MGM encouraged Alpha Video to complete their portion 10 days earlier than they were contractually obligated, and they complied. It’s probably the most aggressive timeline we’ve ever worked with. Initially, the system was going to be small, but the changes they made required an acceleration of the entire process. We had to get it done.